< Previous Happy Birthday Balloons and Stars…..
Karen, this is adorable!! 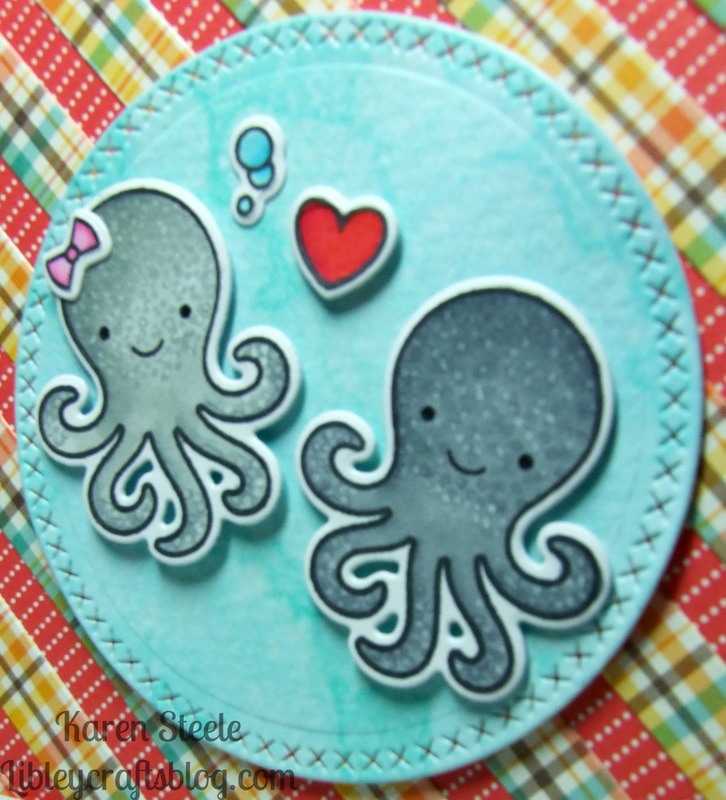 I love that background die and those octopi are just too cute for words!! Love it!!! Super colouring technique. I love that the octopus representing you has a pink bow!! I saw this set and thought they were right up your street. You have done them proud! Thank you so much! I never thought I’d say that an octopus was cute! How cute is this!! That technique worked out really well for those octopi~lots of dimension!! What a cute card for your husband! Awesome coloring on those fun Lawn Fawn octopi!! What a great and effective coloring technique! And it’s such a happy card, colorful and sweet, though not over the top sweet for a man. Lovely! 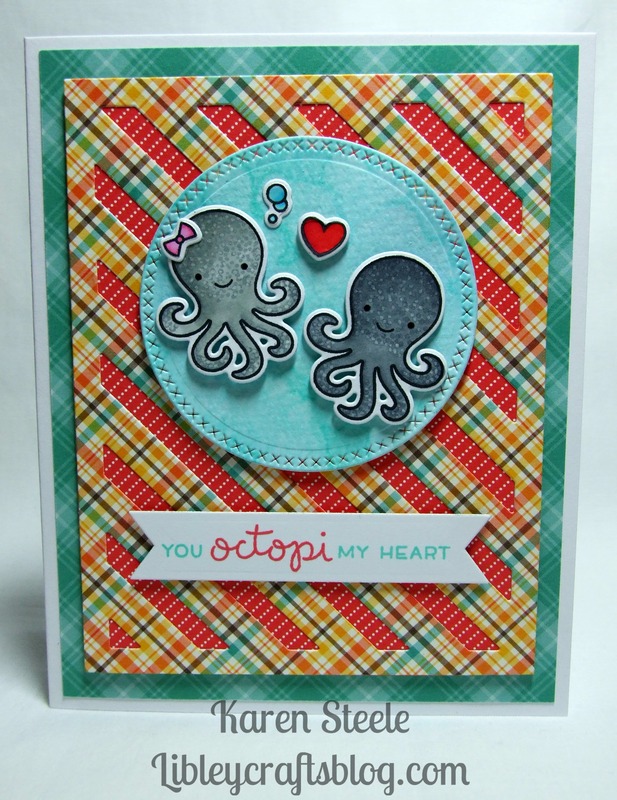 These octopi are so cute, Karen and you´ve created a wonderful, lovely card for your husband. Your coloring looks really great and i totally like the plaid paper.